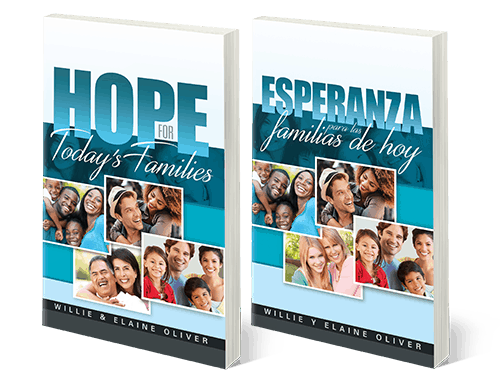 Missionary Book of the Year 2019 This year's Missionary Book: Hope for Today's Families is now available in English and Spanish. Make plans to get your book so you can share with family and friends along 2019. FRIENDLY AND WORKING VISIT OF THE GC PRESIDENT Pastor Ted N.C. Wilson , President of the General Conference of seventh-day Adventists, is visiting Côte d’Ivoire since Sunday, July 01, 2018. Visite du Président Pasteur Ted Wilson dans la DAO Pasteur Ted Wilson, Président de la Conférence Général des Eglises Adventistes du Septième Jour, est en visite en Côte d'Ivoire depuis le Dimanche 1er Juillet 2018. TMI - ETM C’EST UNE INITIATIVE COURAGEUSE DE NOTRE CONFÉRENCE GÉNÉRALE. C’EST UN VECTEUR DE NOTRE VISION POUR LE SALUT D’UN MONDE EN PÉRIL. C’EST UNE APPROCHE STRATÉGIQUE POUR ATTEINDRE LE MONDE PLUS RAPIDEMENT DE MANIÈRE EFFICIENTE ET EFFICACE. Today, February 25, 2019, at the GAIN first day meeting, Jonathan Duffy, Adra International President launched Advocacy on children Education here in Amman. I believe that every child, everywhere, has the right to an education. Unfortunately, 262 million children around the world are currently denied this right. Please sign the petition below, to join a global, Adventist-led movement to ensure that all children get to attend school, complete their education and have a brighter future. A child who is out of school is more vulnerable to human traffickers and recruitment by militias, and at increased risk of early marriage, teen pregnancy, and child labor. The call for every child, everywhere, to be in school is a recognition of the value and potential of each individual child. All children are children of God—precious in His sight—and deserve the opportunity to live a life of dignity and purpose, free from exploitation and the shackles of poverty. After you’ve signed the petition, please like and share it on Facebook and Twitter. Strengthening Disciples is for pastors and ministry leaders in their work with families in and out of the church. We hope the resources found in this volume will help develop healthier families, which invariably result in healthier churches that can reach the world with power and joy to help hasten the coming of Jesus Christ. 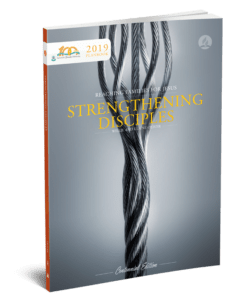 Below you will find an online English version of the Family Ministries 2019 Planbook. You can also download other Planbook resources such as Seminar PowerPoint Presentations, Handouts, and Surveys. I welcome all of you from the New Year break. I believe you made use of the break to relax and enjoy the time with your families. It is necessary that after much work, we find time and rest. La crème des représentants évangélistes a reçu des honneurs historiques. ADVENTIST ELDER ASSISTS HUNDREDS OF YOUTHS GAIN EMPLOYMENT WITH PLATEAU STATE GOVERNMENT. UN ANCIEN DE L’EGLISE ADVENTISTE AIDE DES CENTAINES DE JEUNES À AVOIR UN EMPLOI AVEC LE GOUVERNEMENT DE PLATEAU STATE.